Every salesperson should know what differs them from others and to use the information to build value and rapport with customers. But it isn’t what you are saying that has the biggest effect on your business. It’s what other are saying about you that makes the true impact. Think about creating a space on your website where customers can post reviews about your dealership. Autoxloo developed Dealer Review module which allows you to get wide customer’s feedback on your service. Customers will be able to evaluate your dealership and to write a personal review about it. 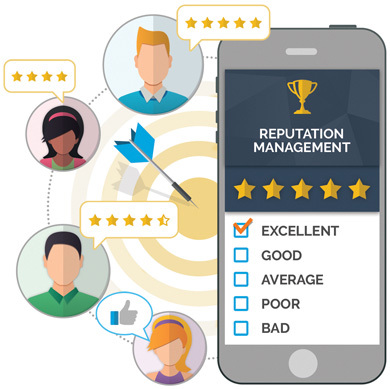 Take advantage of our Reputation Management service to increase number of positive reviews. Actively engage customers to write reviews and provide feedback. Monitor your ranking versus key market competitors and give management the ability to connect with customers to handle any service issues. Get your satisfied customers to spread the word that their dealership experience was a great one. All those star ratings you have been awarded will now rank when prospective customers search your dealership. Dealer Review enables dealers to benefit from doing business the right way. Dealer review is a great tool for Aggregator Websites with multiple dealerships under them. It helps customer to make the right choice. Convenient and easy-to-use dealer search based on dealers location, average rating of each dealership, real customers reviews, links to dealers inventory, websites and as result your customers get all necessary information about all your dealers. Establish trust and deliver accountability by starting to implement Dealer Review. You can increase your followers as well as their interaction within your websites. A great number of visitors means growing popularity, improving SEO and more sales. Autoxloo gives your dealership the edge it needs to stand above the crowd. Share their purchase experience with others. Help others make an informed decision. Make changes and improvements in your business. Participate in your dealership’s life. Increase the webpage visibility and organic traffic. Improve SEO rankings of your website.